The Signature product range comes in many combinations, enabling you to choose the spa or swim spa that best suits your needs. From the ergonomically designed seats, the luxury hydrotherapy seat or the patented interchangeable Jetpacks to our wide range of accessories, Signature Spas has the complete relaxation solution. Soothing jets are located in the optimum positions to target acupressure points and quickly soothe tired muscles and aching joints. Our swim spas also offer the convenience of swimming for health and fitness in a limited space. 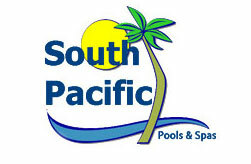 South Pacific Pools and Spas Geelong provide install, repairs and maintenance to the complete range of Signature Spas.